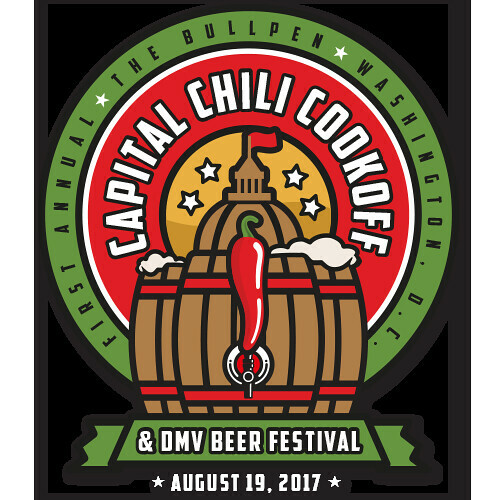 The Capital Chili Cook-Off and DMV Beer Festival comes to The Bullpen at Half Street Fairgrounds on Saturday, August 19th. First things first, you can drink all the beer you want from such breweries as Atlas Brew Works, Old Ox, Right Proper, 3 Stars, DC Brau and many more. In addition to the beer drinking (as if you needed another reason), this is also an International Chili Society (ICS) sanctioned chili cook-off, which decides who will represent DC in the World Chili Cook-Off Championship on October 20-22 (in Reno, NV). You can also make donations to the No Kid Hungry campaign. Get your tickets and make your donations here. GA tickets are $36 ($52 VIP). 3-6:30pm (2-6:30pm VIP). 21+ only.